Just north of Lihue Airport. 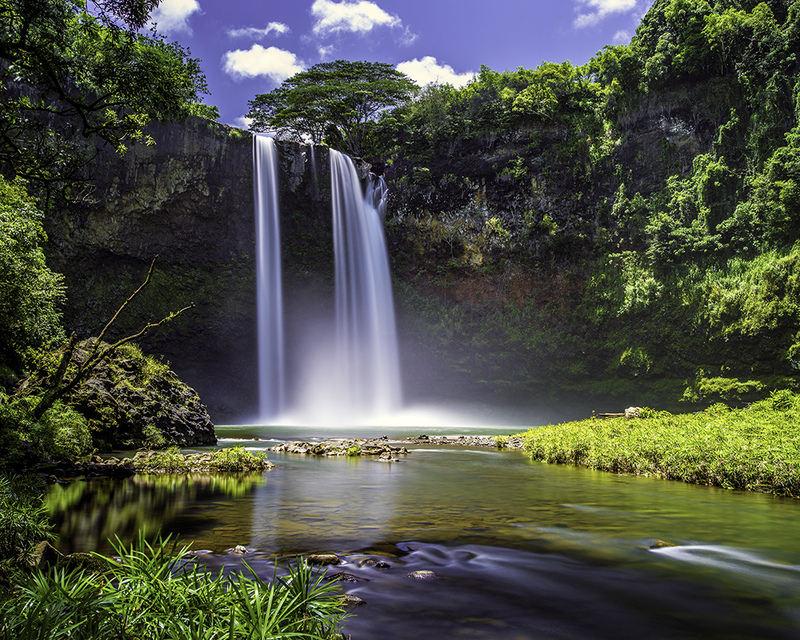 Wailua Falls is a 140 foot double waterfall off the beaten on the south end of the Wailua River. A good view of the falls is just off the side of the road, but the trick is to get down to the falls.